After an alleged white supremacist gunned down 49 innocent worshippers at two Mosques in the New Zealand city of Christchurch yesterday, with many more critically injured, what might the most sensible course of action been for news and current affairs programmes, whichever the broadcaster? What would the grounded and responsible TV outlet have done in the circumstances? 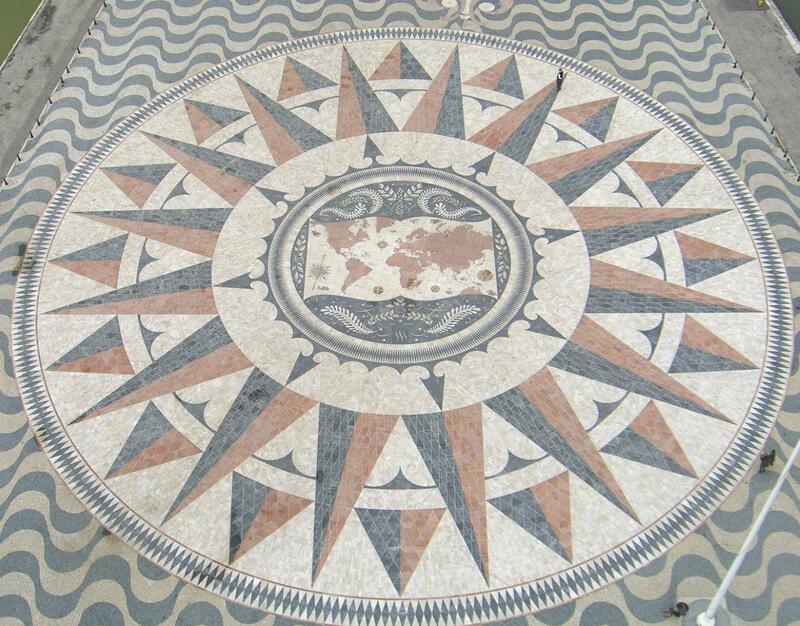 What would the station with the most trusted journalism do? Sadly, in the case of BBC’s Newsnight, going out under the auspices of the still most trusted news brand in the UK, sensible was off the menu last night, as someone at the Beeb invited an actual Nazi to give his views. 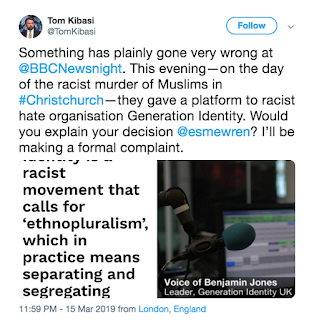 I kid you not: Benjamin Jones, the current leader of Generation Identity UK, was part of the discussion concerning the Christchurch shootings. Did no-one at the BBC have access to, say, Wikipedia? Here’s a little from the GI entry: “The movement has been widely considered neo-fascist … has been accused of intentionally distributing several popular soups containing pork in order to exclude religious Jews or Muslims … In June 2018, Facebook banned Generation Identity for violating its policies against extremist content and hate groups”. 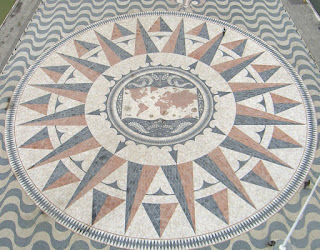 Message getting through? Try this: “In December 2018, Al Jazeera produced a documentary entitled ‘Generation Hate’ featuring an undercover journalist who had infiltrated Generation Identitaire. The documentary included undercover footage of Generation Identitaire members in the northern French city of Lille racially abusing and assaulting migrant youths, advocating violence against Muslims, and alleged linkages between Generation Identitaire and Front National”. 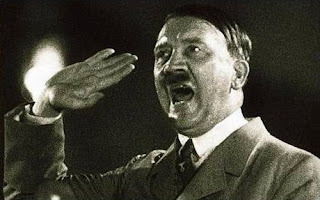 It’s a bunch of Nazis. End of. Small wonder the condemnation has come so readily in the wake of the broadcast, with Dawn Foster’s comments typical: “What on earth are Newsnight thinking, inviting the fascist movement Generation Identity to spout their racist views in response to the massacre of 49 Muslims?” Tom Kibasi of IPPR was on the same page. 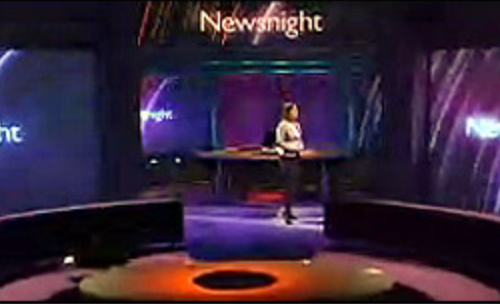 “Something has plainly gone very wrong at @BBCNewsnight. 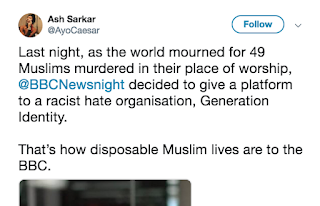 This evening—on the day of the racist murder of Muslims in #Christchurch—they gave a platform to racist hate organisation Generation Identity. Would you explain your decision @esmewren? I’ll be making a formal complaint”. Ms Wren is currently the show’s editor. 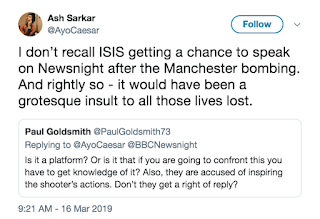 Ash Sarkar of Novara Media was dismayed. 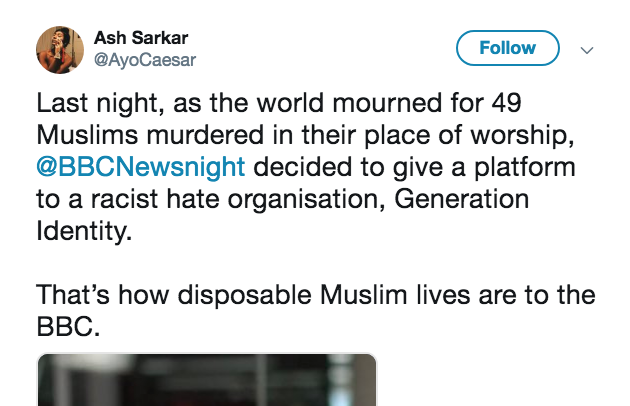 “Last night, as the world mourned for 49 Muslims murdered in their place of worship, @BBCNewsnight decided to give a platform to a racist hate organisation, Generation Identity. That’s how disposable Muslim lives are to the BBC”. And she gave short shrift to the suggestion they should have been allowed on. “I don’t recall ISIS getting a chance to speak on Newsnight after the Manchester bombing. And rightly so - it would have been a grotesque insult to all those lives lost”. The Beeb gets it wrong both ways, too, as Waqas Tufail reminded her: “I remember the the same day Lee Rigby was murdered the BBC had Anjem Choudhry on Newsnight as the Muslim community representative. Some things don't change”. Equally reprehensible. Straight faced - Here's a clue, Tim: Who are the responsible editors of Newsshite and all the other "news" and "politics" propaganda programmes? And who are the BBC Trustees who do nothing to ensure fairness?